While this is the largest talcum powder verdict by a long shot, it is not the only large verdict. There have been verdicts of $55 million, $70 million and $72 million in other recent cases. In this latest case, the 61-year-old female plaintiff testified that she used defendant’s talcum powder products for more than 40 years prior to being diagnosed with ovarian cancer in 2012. 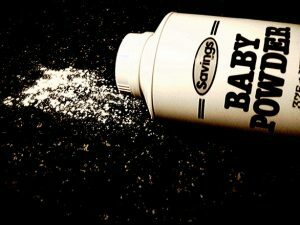 The jury found Johnson & Johnson to be 99 percent liable for the injuries caused to plaintiff and a supplier of the talcum powder to be 1 percent liable. While that breakdown of damages might seem odd, it important to understand the role of both defendants in this case. The supplier provided refined talcum powder to Johnson & Johnson in bulk, and the latter packaged it, advertised it and distributed its cancer-causing products to the general public, including plaintiff. As our Boston products liability attorneys can explain, there are three claims typically brought in this type of case. The first claim will be manufacture of a defective product. This second is a claim for failure to warn of known dangers. The third is the standard negligence claim that typically serves as a catchall and includes the elements of duty, breach, causation, and damages. The failure to warn of a known danger claim is the main claim that leads to the largest award of damages in most cases. This is saying that defendant knew or should have known of a serious risk or danger the consumer would not have any reasons to know unless warned by manufacturer. Basically, it’s a claim that defendant knew their product was harmful and kept it a secret, because they wanted to make money selling the product. This type of conduct can make people particularly upset, and that can lead to punitive damages. In our legal system, the goal in most cases is to put plaintiff in the same position he or she would be had the injury never occurred. While that is not technically possible in a products liability case, as it is in a contracts case, the court asks the jury to find a value of money that fully compensates a plaintiff. However, the goal is not to allow plaintiff to gain a windfall of money and profit from the case. Punitive damages, on the other hand, are designed to do exactly that – to punish the defendant by awarding more money to plaintiff and stop them or others form acting this way in the future. In this case, jury awarded $5.4 million in compensatory damages and the rest as punitive damages. However, it should be noted defendant continues to argue there is no link between talcum powder and ovarian cancer and is appealing the verdict.